Marble and travertine are porous stones, and all non-polished, as well as polished varieties should be sealed annually to prevent various forms of damage. Sealing against water-based staining is vital in most areas of the home, but in the kitchen we recommend sealing your natural stone surfaces with both oil- and water-repellent sealants. We will assist you in recommending the correct type of sealant appropriate for your natural stone surfaces, and we will ensure that they are protected from spills and environmental damage while adhering to strict health and safety requirements. We offer free options for stone sealing as well, so contact Concrete & Marble Transformerz to speak with us about your stone sealing needs! We provide stone sealing services in all of the following areas, and more! A stone sealer will protect and promote the longevity of your natural stone surfaces. 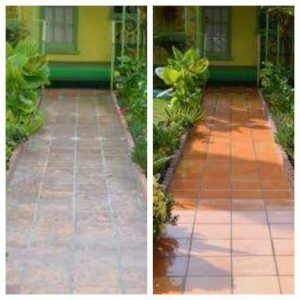 Get in touch with our Top-Rated Local® floor polishing and restoration company for stone polishing services in Los Angeles and the surrounding areas that can’t be beat!